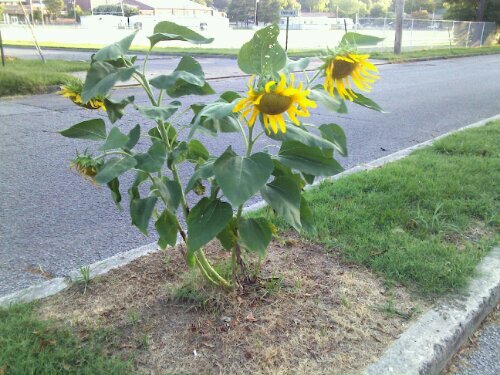 Thanks to diligent watering while we were in Sicily, the sunflowers I planted in the median in front of our house thrived and were in full bloom when we got back. Glad they survived. You must have some caring neighbors/friends.